Wingspan is a game entirely about birds and it has been a wonderful surprise, being considered one of the hottest titles for 2019. This is the first game from designer Elizabeth Hargrave, published by Stonemaier Games, and will be available in March this year. In this game, the players take the role of bird enthusiasts (researchers, birdwatchers, and ornithologists) and must discover and attract birds to their wildlife preserves. 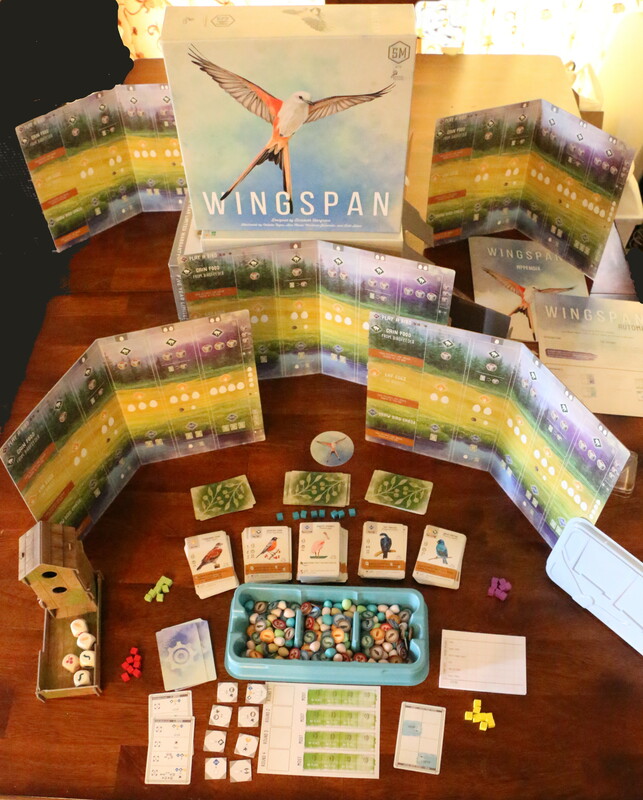 In board game terms, Wingspan is an engine-building game, that is, a game in which you have to establish an effective system to generate and accumulate points. 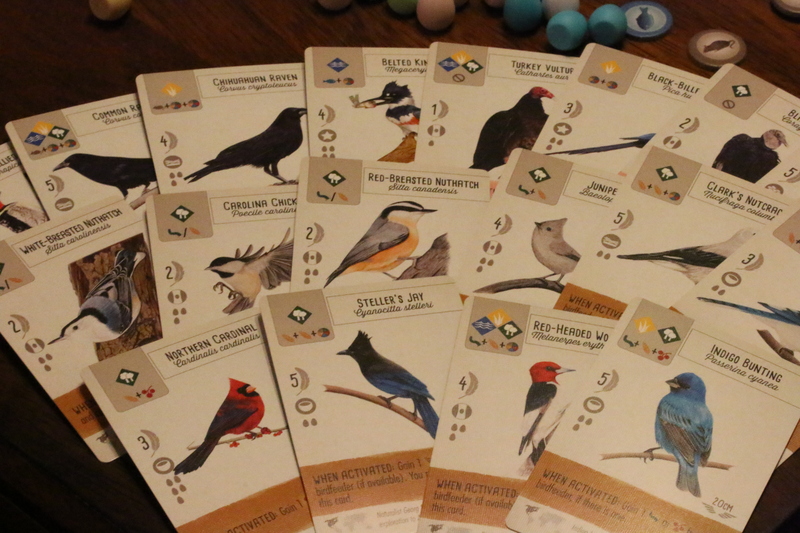 There are 170 unique bird cards in the game and, as you add them to your nature preserve, they help you do more and more on each subsequent turn. In general, forest birds make you better at getting food, wetland birds help you get more cards, and grassland birds make you better at laying eggs. 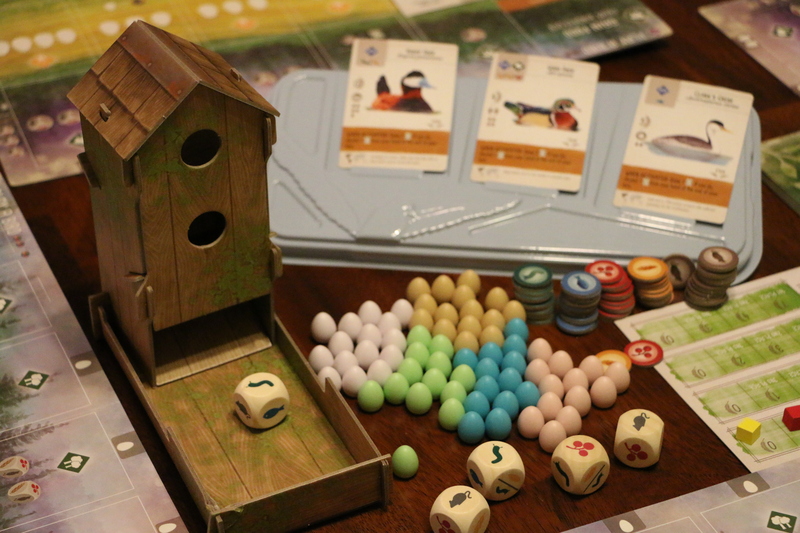 The Journal of Geek Studies interviewed Elizabeth Hargrave to understand how ornithology and ecology made their way into a board game. You can read the full interview below. Q: To come up with a game based on birds, you must be a birdwatcher or an ornithologist, is that right? A: Yes, I’m an amateur birder. Q: When did your interest in birds began? A: I’ve always been a nature lover and appreciated birds in general when I saw them, the same way I appreciated any other wildlife. I’ve always had a bird field guide and a pair of binoculars around. But I didn’t really start intentionally birding – like, going out with birds as my primary purpose – until maybe 6 or 7 years ago. 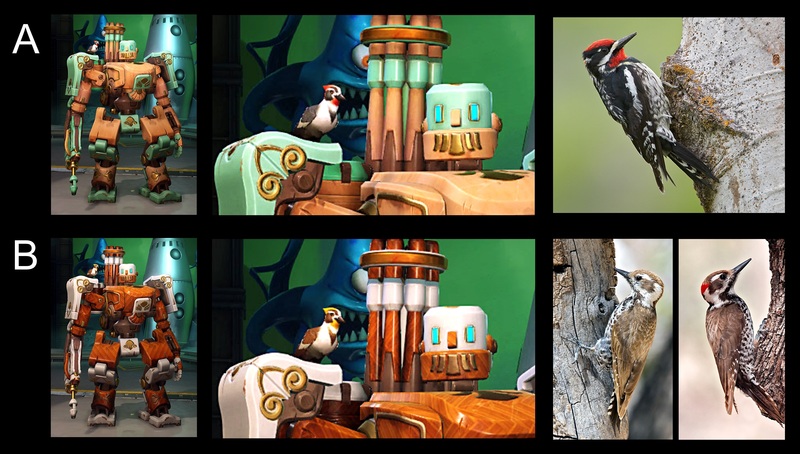 Q: What gave you the idea for a bird ecology game? A: I felt like there were too many games about castles and space, and not enough games about things I’m interested in. So I decided to make a game about something I cared about. Q: Did you bring into Wingspan some of your experience with birds? Your favorite species, maybe? A: I tried to get a diverse set of birds from North America into the game, and a lot of the common ones. But some species definitely got a push just because I like them. Roseate spoonbills are only in a tiny corner of North America, but it’s the corner of North America that I grew up in, and I love them, so they’re in. There’s a lot of room with 170 cards – but it’s still only a fraction of all of the species that live in North America. Q: So, let’s turn to the game now. What is the players’ goal in Wingspan? How does one win in a bird game? A: You win by having the most points. A lot of your points will come from playing the birds themselves, but you can also get points by laying eggs or by using certain bird powers. And then there are specific goals and bonuses that change from game to game. You might have the “photographer” card that will give you bonus points for birds with colors in their name, or the “falconer” that gives points for predator birds. And then there are shared goals that you can compete for, like having the preserve with the most eggs in it at the end of a round. To win, you usually have to choose to focus on some of those things over others. And you need to think about how the different powers on the bird cards could help you get there. Q: The game’s strategy is spun around a lot of ecology. What sort of information have you brought from the real world into Wingspan? 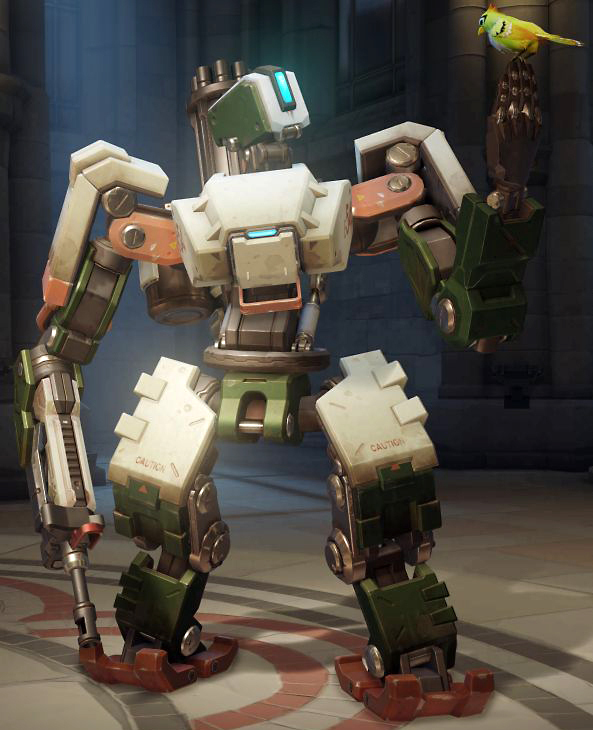 Or, better put, how much scientific data have you included in the game? A: There is a ton of real-world information on each card. 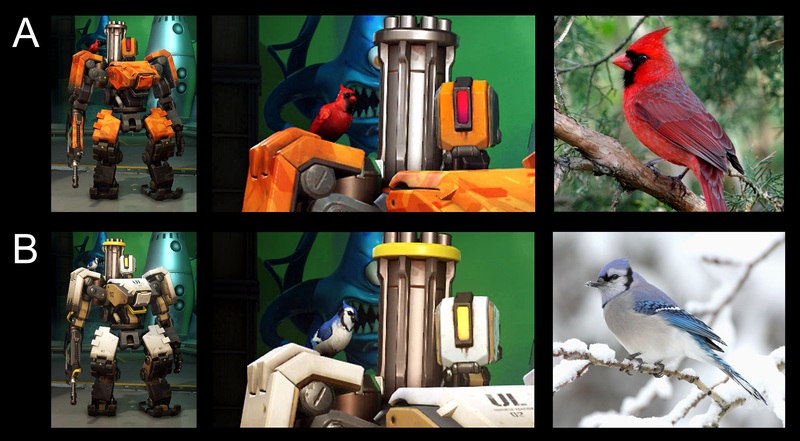 Birds get played into certain habitats on your player mat, based on their real-world habitat. And each card’s cost is food, based on some very simplified categories of the food that the birds actually eat. And each bird’s nest type could play into the end-of-round goals. When I could, I tried to work in real-life bird behavior for the powers on each bird. For example, predator birds go hunting by looking at the top card in the deck: if the bird has a small enough wingspan that the predator could eat it, you get to keep that card and score a point for it. Nest parasites like brown-headed cowbirds get to a lay an egg on another bird’s nest when another player lays eggs. That kind of thing. And finally, each card has a little factoid on it about the bird, and a very simplified map of which continents it is native to. Those don’t actually come into play on the game, but sometimes they might explain why a bird’s power is what it is. Q: Do you hope the players will learn something about the birds by playing Wingspan? A: I hope that it’s a game that you can play primarily as a game, without feeling like you’re supposed to be learning anything… and then maybe accidentally pick some things up along the way. A lot of educational games feel very preachy to me, and that’s not my intention. 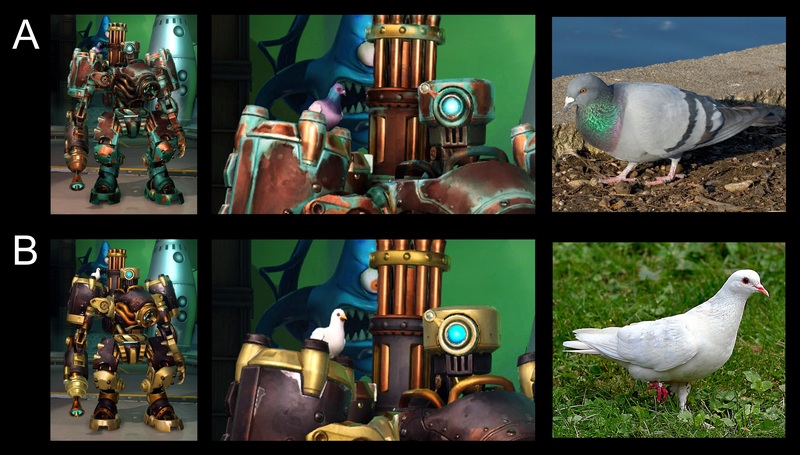 But I do hope that as players interact with the birds in the game, some of the real-world information that’s there is interesting to them. Q: Suppose a player is inspired by Wingspan to do some birdwatching of their own. Would you have some tips to offer to this fledgling birder? A: Find a list of common birds for your area, and look for them right around where you live. Once you have a few birds that you can reliably identify, things get easier. A pair of binoculars makes a huge difference. You don’t have to spring for a super-expensive pair right away – there are decent starter pairs for the cost of a board game. But it’s incredibly frustrating to try to ID birds without being able to see all their markings. 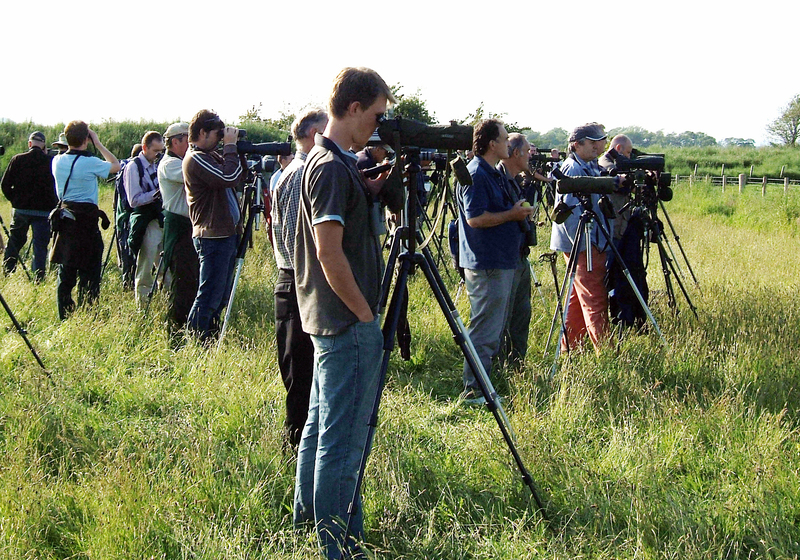 Find a local birding club, or hit up a birder friend – most people are happy to share their knowledge, and to have you along as an extra pair of eyes. I once caused a major freak-out in a group of more-knowledgeable birders by saying “hey, what’s that one?” – it turned out to be a golden-winged warbler, a beautiful bird that very rarely visits our area. Download the eBird app and keep lists of the birds you see. If you’re anything like me, growing your personal list will be addictive – but you’ll also be contributing to a worldwide database that ornithologists use to track trends in bird populations. Q: Do you think ultimately Wingspan can help with bird conservation efforts? A: As much as the industry is growing, board games are still a pretty niche hobby. But every little bit helps! I have definitely heard from gamers who have started paying attention to birds in real life because of Wingspan. Q: Is there any takeaway message you’d like the players to get from Wingspan? A: I always set out to make it a fun game first, about something that I love. If you have fun playing Wingspan, my mission is accomplished. If you can see why people love birds – or get interested in them yourself – after playing, even better. This is the first published game from designer Elizabeth Hargrave. Bird art is by Natalia Rojas and Ana Maria Martinez Jaramillo, while art for the player mats and birdhouse dice tower is by Beth Sobel. Christine Santana did the graphic design. David Studley designed the solo version of the game, with help from the Automa team. Jamey Stegmaier managed the whole team, and worked with Elizabeth to develop the gameplay. McLaughlin, S. 2019. Birds star in one of this year’s hottest board games. National Audubon Society. Available from: https://www.audubon.org/news/birds-star-one-years-hottest-board-games (Date of access: 19/Feb/2019). Platalea ajaja Linnaeus, 1758 (family Threskiornithidae). There are circa 760 bird species that breed in the USA and Canada, according to the Cornell Lab of Ornithology (https://birdsna.org/Species-Account/bna/home). eBird (https://ebird.org/home) is a project of the Cornell Lab of Ornithology. During his heroic career Superman fought several foes. Some of these stories are truly memorable, like The Death of Superman (1992–1993), when he faced Doomsday. But many stories just ended up completely forgotten. Granted, there are some stories that most fans prefer to forget, like the film Batman v Superman: Dawn of Justice (2016), but some are curious or weird enough to eventually deserve a fresh look. The story I’m about to tell you is one of the latter kind. 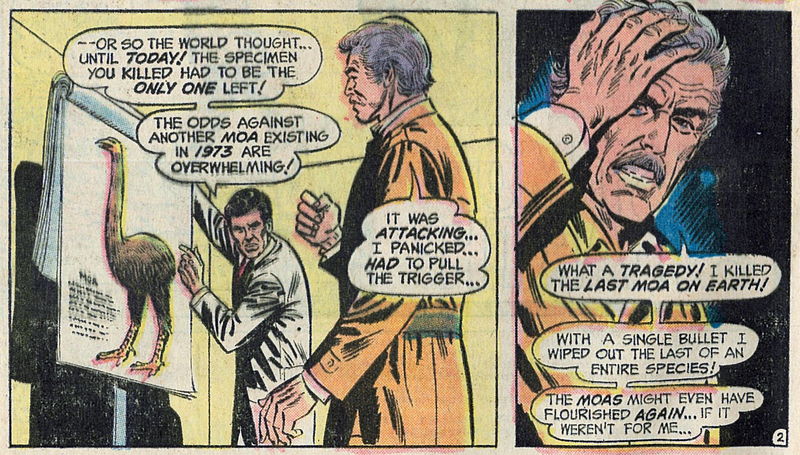 This one happened during the first years of the so-called Bronze Age of Comics (1970–1985). Comic books from the Bronze Age retained lots of elements and conventions from the preceding Silver Age, but started to introduce stories more in tune with social issues, like racism and drugs. Likewise, comics also began including environmental issues and this is the topic I will focus on here. More specifically, on extinction. 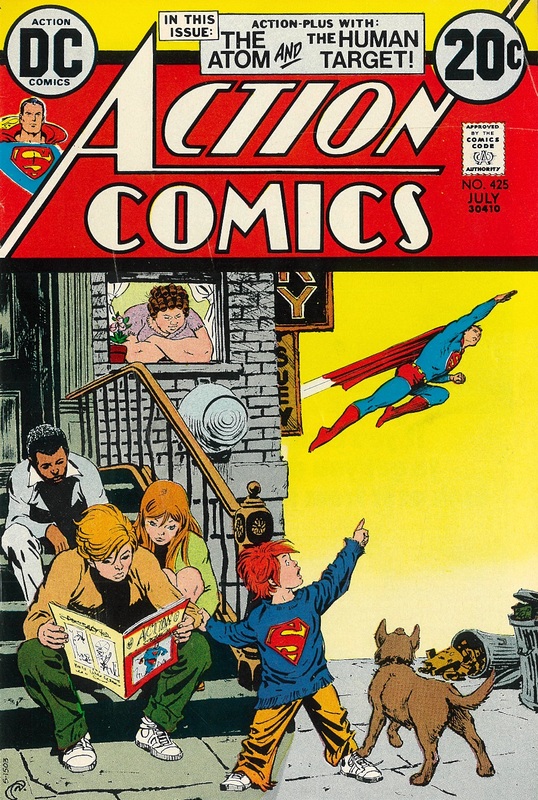 It is the first story on Action Comics no. 425 (July 1973), written by Cary Bates, illustrated by Curt Swan and Frank Giacoia. 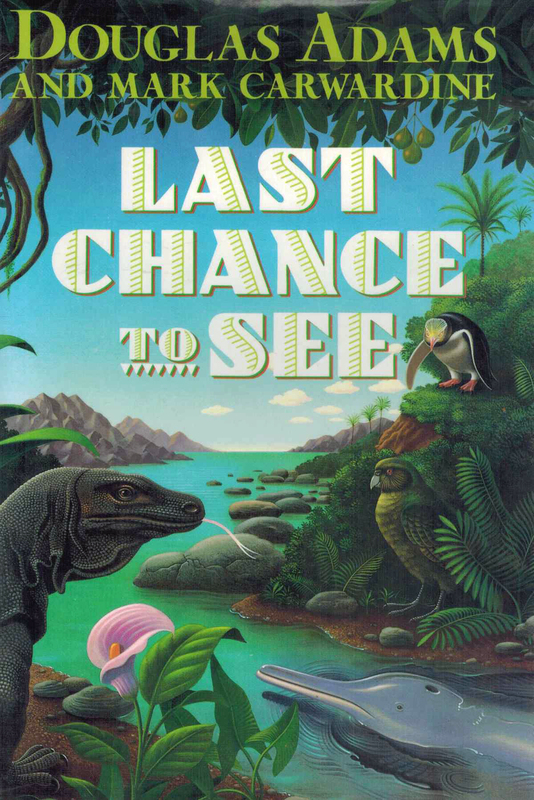 It is called “The Last Moa on Earth!” and by the title alone, you can see it is about a giant extinct bird. It’s a Bird… It’s a Plane… It’s Super– no, wait, it is actually a bird this time! My goal here is to guide you through the story and offer some Biology inputs every now and then, explaining some things and “correcting” the bits the comics got wrong. I do know that writers should be free to invent and I wholeheartedly agree with that – it is science fiction after all! However, there are some sciency bits and pieces that are so simple to get right that there can be no excuse for giving the public wrong information. The story starts off with hunter Jon Halaway in a New Zealand forest, being attacked by a giant flightless bird. He shoots and kills it, and decides to visit a local scientist (in Hawera, a town on the west coast of the North Island) to confirm his suspicions of the bird’s identity. The scientist tells Halaway that he shot a bird thought to be extinct for 500 years and that there were once thousands of these animals in New Zealand. Both pieces of information are correct. Scientists estimated that there were circa 160,000 moa in New Zealand when Polynesian settlers arrived between 1,200 and 1,300 CE (Holdaway & Jacomb, 2000; Wilmshurst et al., 2010). There were nine species of moa in total and the Polynesians (who later became known as the Māori) had already extinguished them all by the early 1,400’s CE (Tennyson & Martinson, 2007; Perry et al., 2014). The scientist then says that the bird was the largest of the moa species, Dinornis maximus. While indeed this species was likely the largest, it inhabited only the South Island of New Zealand. The species from the North Island, where Halaway was hunting, is called Dinornis novaezealandiae. So the writer got the species wrong, but we cannot truly blame him: tens of moa “species” were described throughout the years, mostly because of the huge difference in size between the sexes of some species confused early researchers. Thus, the classification of moa species was really messed up until genetic studies started to be conducted from the late 1990’s onwards. 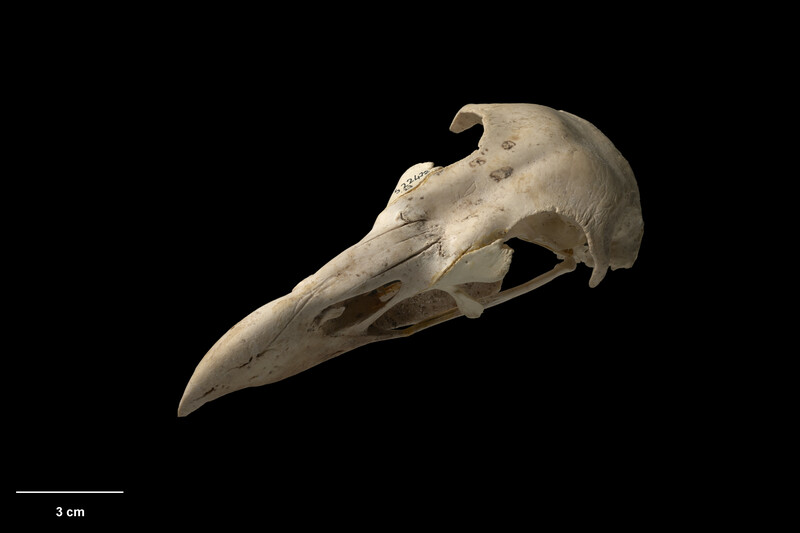 The skull of a North Island giant moa, Dinornis novaezealandiae. Source: Museum of New Zealand Te Papa Tongarewa (specimen MNZ S.242); ©Te Papa, all rights reserved. On a similar note, D. maximus is actually an invalid name; the valid name for the South Island giant moa is D. robustus (Gill et al., 2010). That is because “D. maximus” was a second name given to describe the same species; to avoid confusion, only the first name ever used (D. robustus) is valid in these cases. Halaway estimated the size of the slain moa at 12 feet (approximately 3.6 m), which is quite reasonable. The largest known specimens would have been 2 meters high at their backs or 3 meters high with their necks held straight up (something that they did not do; Tennyson & Martinson, 2007). Moreover, Halaway’s dead bird was a female, which are typically much larger than males in the two Dinornis species (Bunce et al., 2003; Tennyson & Martinson, 2007). Box 1. What’s a moa anyway? The moa belong to a group of birds called “ratites”, which also includes ostriches, emus, cassowaries, kiwi, rheas, and the extinct elephant birds. Recent research has shown that moa are not closely related to the other notable New Zealand ratites, the kiwi. 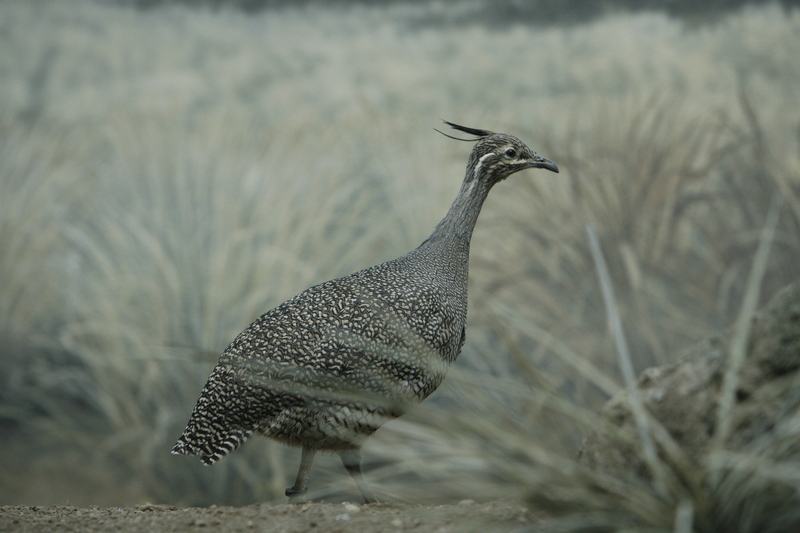 Rather, they are closer to the charismatic South America tinamous (Mitchell et al., 2014; Yonezawa et al., 2017). Since tinamous still retain some ability to fly, the moa’s ancestor was actually a flying bird (Gibbs, 2016). The elegant crested tinamou, Eudromia elegans. Source: Wikimedia Commons (Evanphoto, 2009). The loss of flight (alongside attaining a large body size) is a common occurrence on island environments where no mammalian predator is present. 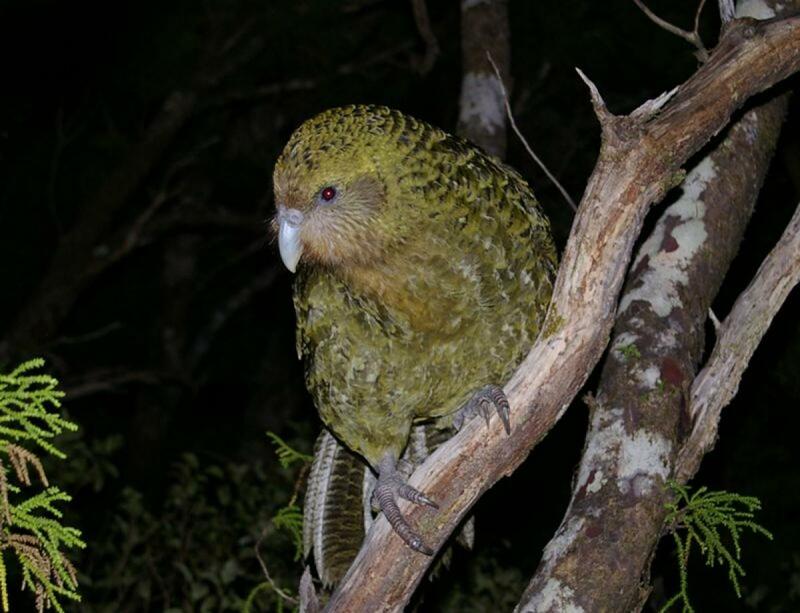 Other New Zealand species have also lost this ability; besides the kiwi (the typical example of a flightless bird), there are parrots (kakapo), rails (takahē) and wrens. Halaway realizes that what he did was plain wrong. As mentioned above, during the Bronze Age comics became conscious of social and environmental problems – and extinction is a major problem, since it is usually our fault. This is important because, even though more than 350 years have elapsed after the last dodo was killed, most people still do not really grasp the idea that a species can disappear forever (Adams & Carwardine, 1900). The “good” Mr. Halaway than devoted all his energy and resources into finding the slain moa’s egg. He succeeds and notes that the egg was being incubated in a hot spring with “strange fumes”. The egg was really big and appear egg-shaped in one panel and spherical in the other. Moa’s eggs were not spherical and not that large. 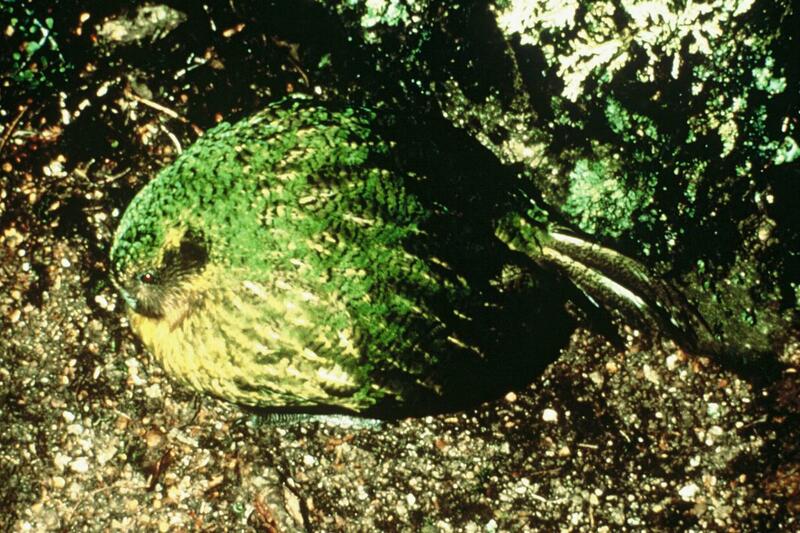 Nevertheless, they were quite big and the largest known intact eggs are 20 and 25 cm tall (respectively, for the North Island and South Island Dinornis). Of course the strange chemicals will grant the baby moa superpowers; otherwise this wouldn’t be a comic book. Halaway finally arrives in Metropolis, where he is interviewed by none other than Clark Kent. On the highway, Halaway tells Clark that he wants to redeem himself of his “unforgivable deed” and hope that scientists will figure a way to use the egg to produce more moa. The repented hunter then faints, just as the baby moa hatches and escapes, throwing the car off-balance and into a river. Clark takes off his suit and glasses and, after he’s more comfortable in his supersuit, saves Halaway and takes him to a hospital. Now I will cut the whole weird plot short and just say that the moa created an “organic link” (whatever that is) with Halaway via a microorganism, and was draining his energy. Typical crazy comic book stuff, but that’s not the point here. So let’s get back to the baby moa. These “clawed terrors” were actually fluffy herbivores. 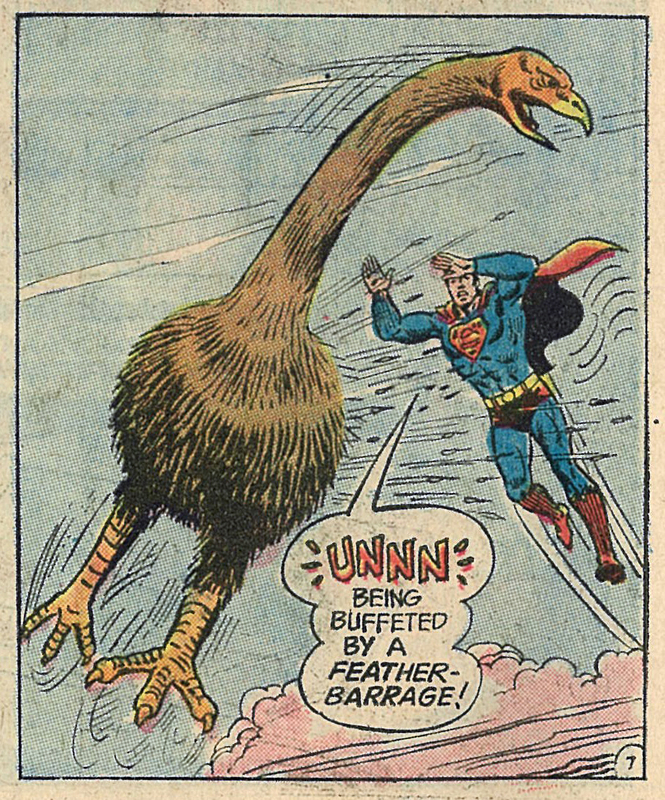 Superman starts searching Metropolis for the runaway moa and eventually finds it flying. 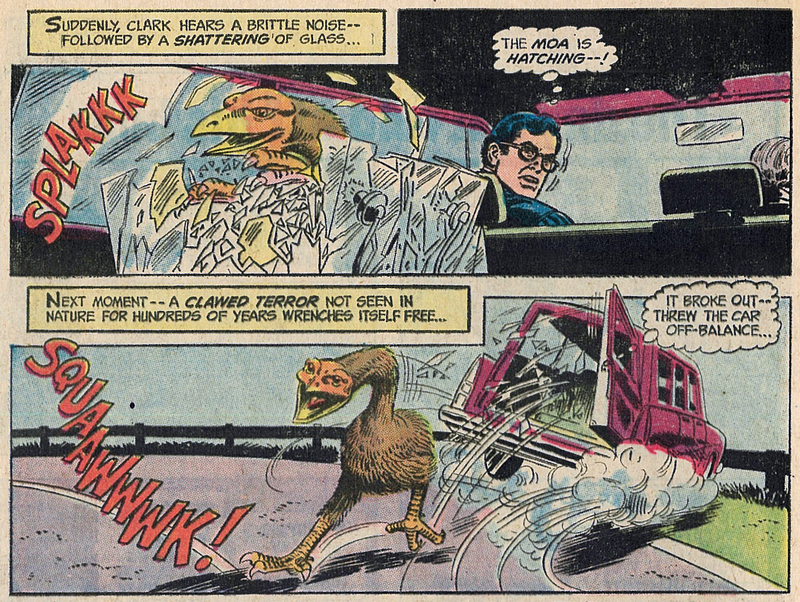 Yes, flying – without wings, the comic-book moa flies by “thrashing its feet at super-speed”. 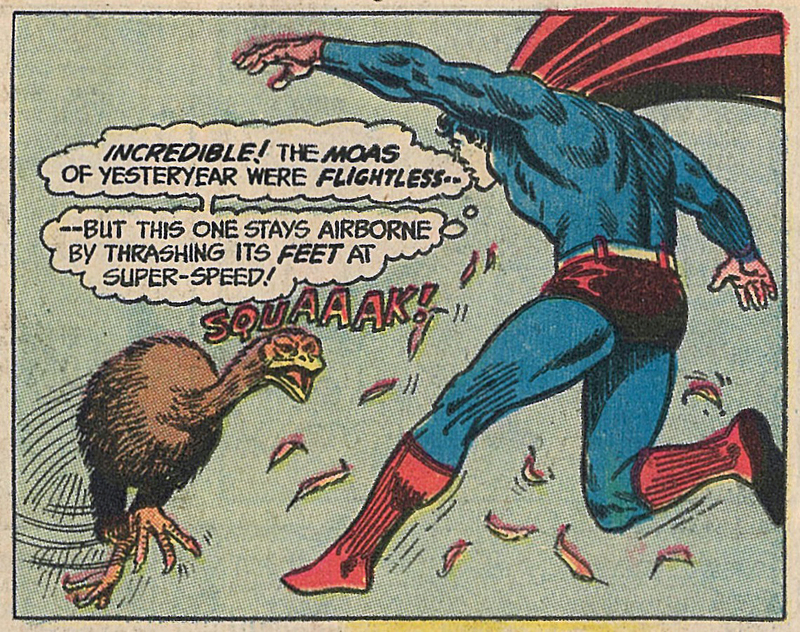 In fact, Superman notices that the moa can fly faster than a super-sonic jet. Also, even though just a few hours had passed since the moa escaped, when Superman found it, the bird had already doubled in size. And these were not the only superpowers granted to the moa by the mysterious fumes. Yep, you read it right – that moa is flying with its feet. The moa were herbivores, browsing on several types of leafy herbs, shrubs and trees (Wood et al., 2008). 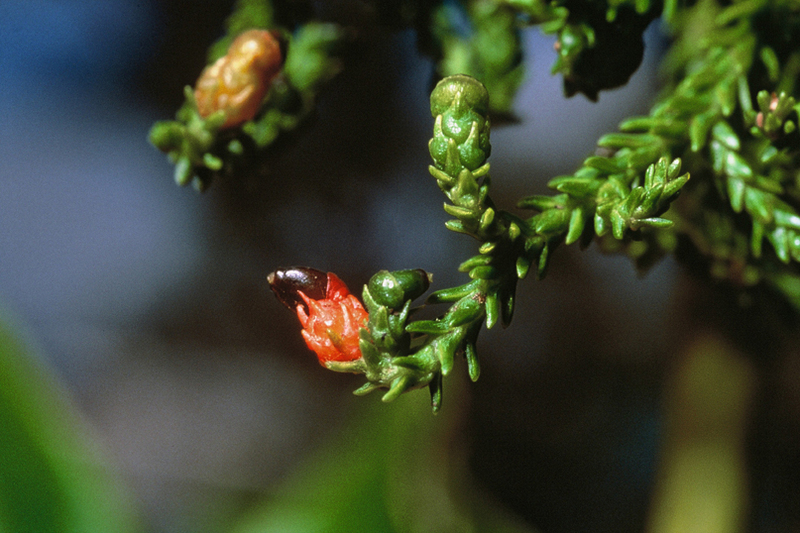 They were so abundant that it is thought their presence in New Zealand resulted in the evolution of a set of counter-measures in some plant lineages, which have small and hardened leaves, and sometimes also spines (Greenwood & Atkinson, 1977; Cooper et al., 1993; Worthy & Holdaway, 2002). But who ate the moa? Well, they were were so large that one would think they had no natural predators before the hungry Polynesians arrived. But that would be wrong – moa were hunted by giant eagles. Naturally one would think of this – it is New Zealand after all! Source: The Hobbit: An Unexpected Journey (Warner Bros. Pictures, 2012), screen capture. 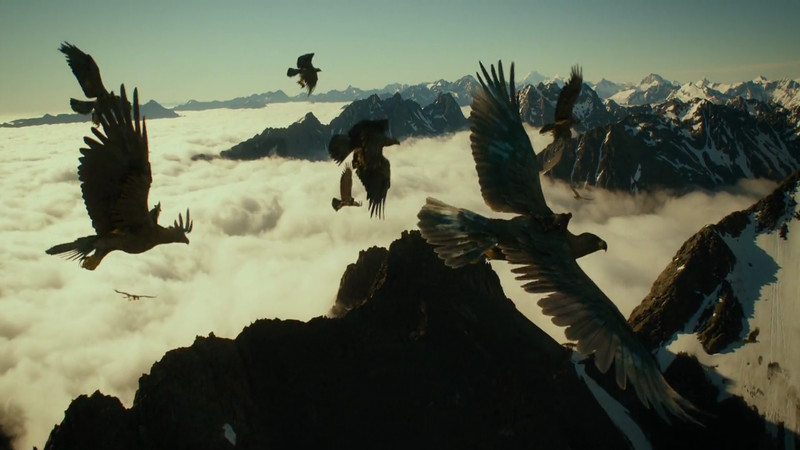 They are known as Haast’s eagles, after the naturalist who first described them, Sir Johann von Haast. They are the largest known true raptors, in both size and weight. They could reach a 2.6 m wingspan (somewhat smallish for their bulk) and 16 kg in weight, with females being larger (Brathwaite, 1992; Tennyson & Martinson, 2007). To hunt and eat their massive prey, Haast’s eagles had strong legs and feet, with huge claws. Unfortunately, these amazing birds could not survive after the moa became extinct and likely did not last much longer than 1,400 CE (Tennyson & Martinson, 2007). 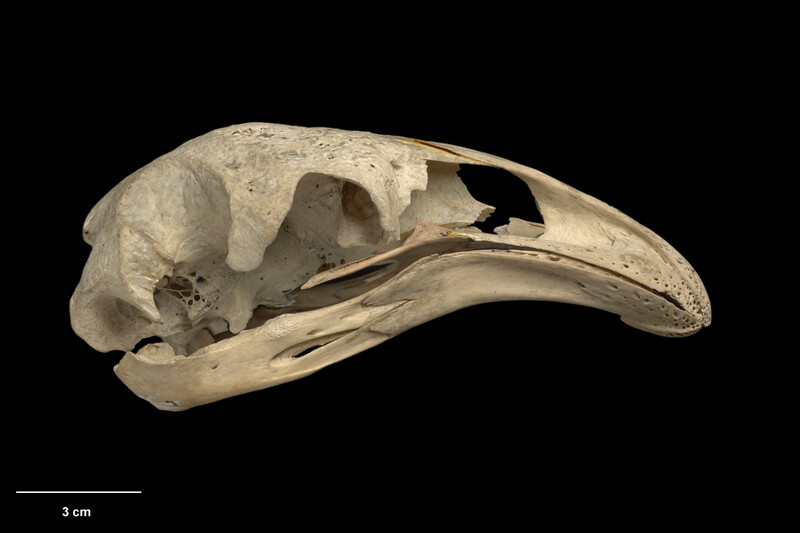 The skull of a Haast’s eagle, Aquila moorei. Source: Museum of New Zealand Te Papa Tongarewa (specimen MNZ S. 22473); ©Te Papa, all rights reserved. 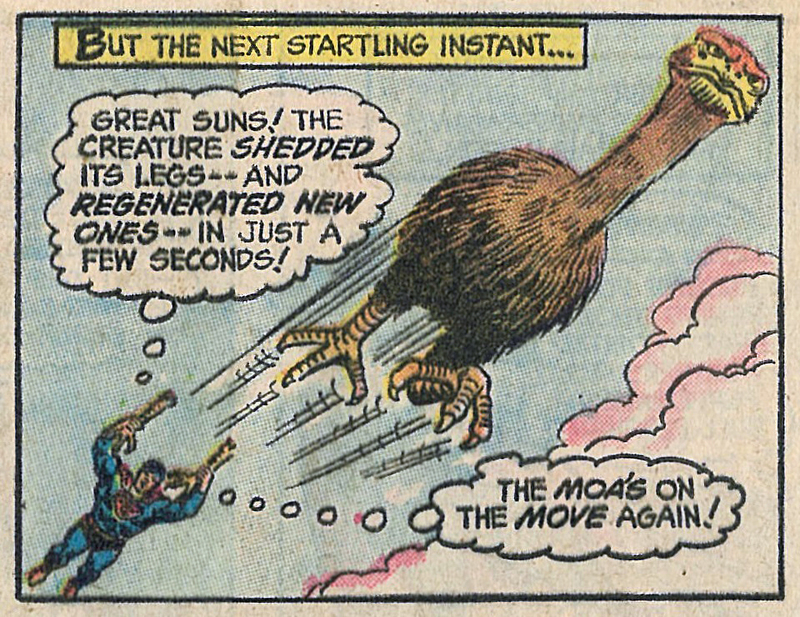 The moa also gained the ability to use its feathers as projectiles that could even pierce an elephant’s hide (according to Superman). Needless to say, birds cannot do that unless they are also Pokémon. 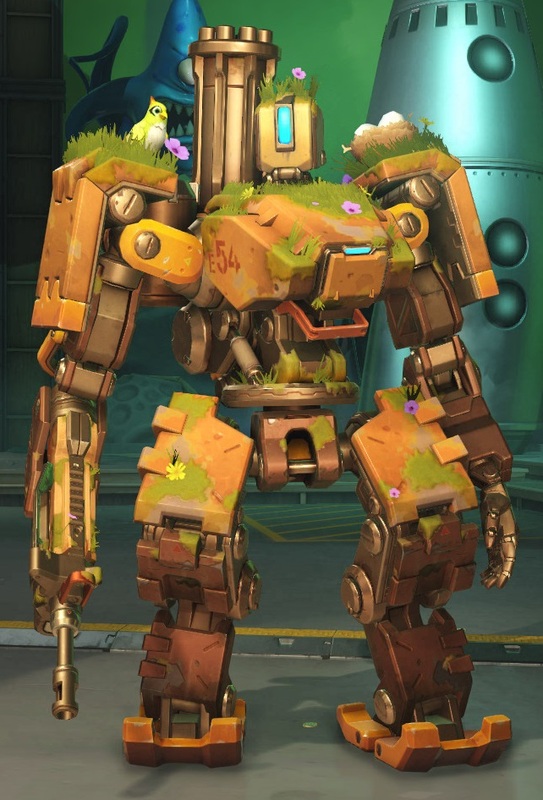 Finally, the moa could instantly regrow lost limbs, a feat that few heroes (and absolutely no birds) can achieve. After some more fighting, Superman understands that the bird just wants to go back home – to that place with the fumes and the lonely pink flower. Superman realizes that the flower is a “Quixa blossom”, as he calls it, and says it is a rare plant found only in northwest New Zealand. 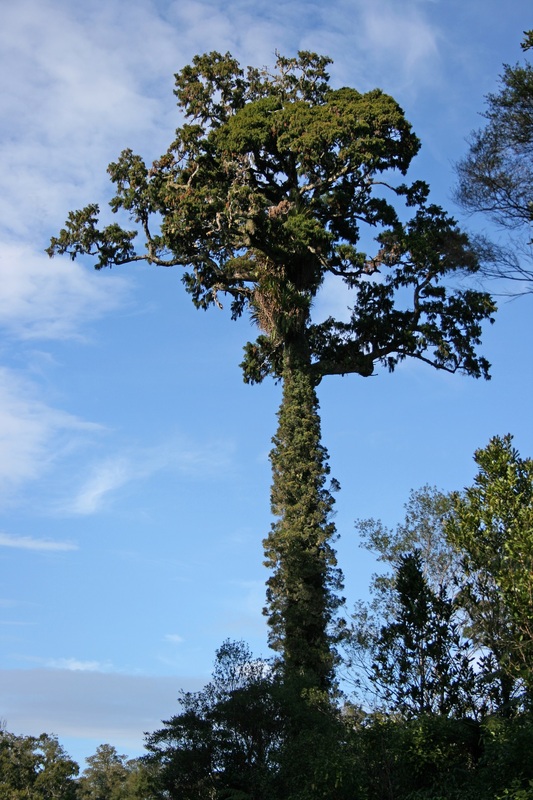 Since my knowledge of plants is fairly limited, I asked a New Zealand botanist for help with this one. I was told that there is no flower with that name in the country and actually nothing that even remotely looks like it. The “Quixa blossom” is actually the least believable thing in this whole story. In any event, Superman finds the moa’s home and takes it back there, thus stopping the energy draining effect and saving Halaway. Superman then proclaims the area a “moa preserve” and sets up a fence around it. A thoughtful move, but one that completely overlooks the fact that the supermoa could fly. The story ends with Halaway saying that “the world owns the moa another chance for survival”. Unfortunately, reality is not so kind: our species has wiped the moa off the face of the Earth and there is no second chance. Overall, if you ignore the superpowers and the “organic link” stuff, this Superman story is actually a nice portrayal of an extinct species and its tragic fate on the hands of humankind. If nothing else, I hope it has inspired a reader somewhere to become a scientist or to fight to preserve other endangered animals. Adams, D. & Carwardine, M. (1990) Last Chance to See. William Heinemann, London. 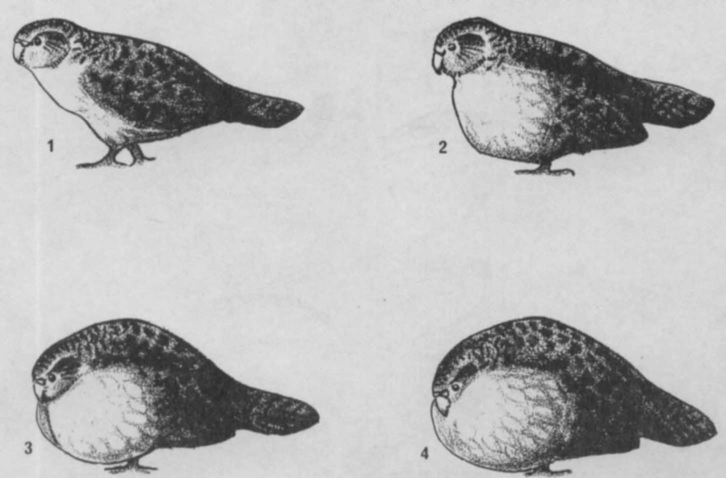 Brathwaite, D.H. (1992) Notes on the weight, flying ability, habitat, and prey of Haast’s Eagle (Harpagornis moorei). Notornis 39: 239–247. Bunce, M.; Worthy, T.H. ; Ford, T.; Hoppitt, W.; Willerslev, E.; et al. (2003) Extreme reversed sexual size dimorphism in the extinct New Zealand moa Dinornis. Nature 425: 172–175. Cooper, A.; Atkinson, I.A.E. ; Lee, W.G. ; Worthy, T.H. (1993) Evolution of the moa and their effect on the New Zealand flora. Trends in Ecology & Evolution 8: 433–437. Mitchell, K.J. ; Llamas, B.; Soubrier, J.; Rawlence, N.J.; Worthy, T.H. ; et al. (2014) Ancient DNA reveals elephant birds and kiwi are sister taxa and clarifies ratite bird evolution. 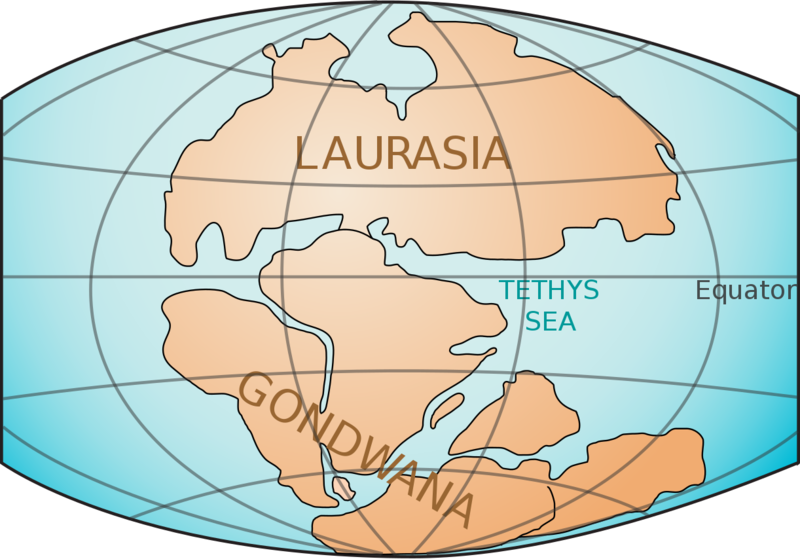 Science 344: 898–900. Gill, B.J. ; Bell, B.D. ; Chambers, G.K.; Medway, D.G. ; Palma, R.L. ; et al. 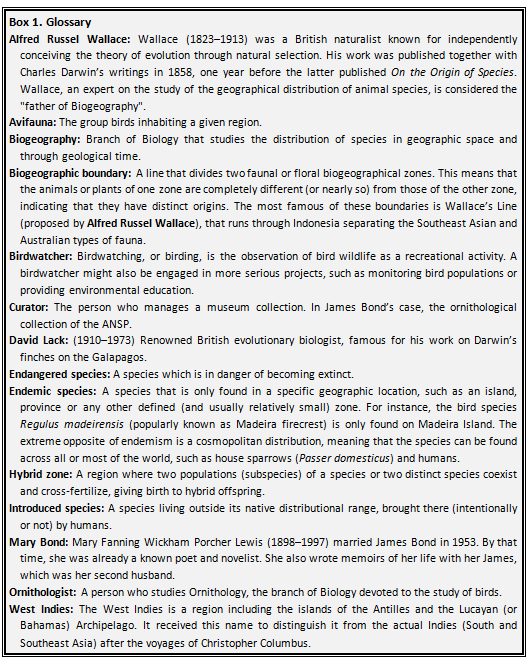 (2010) Checklist of the Birds of New Zealand, Norfolk and Macquairie Islands, and the Ross Dependency, Antarctica. Te Papa Press, Wellington. Greenwood, R.M. & Atkinson, I.A.E. 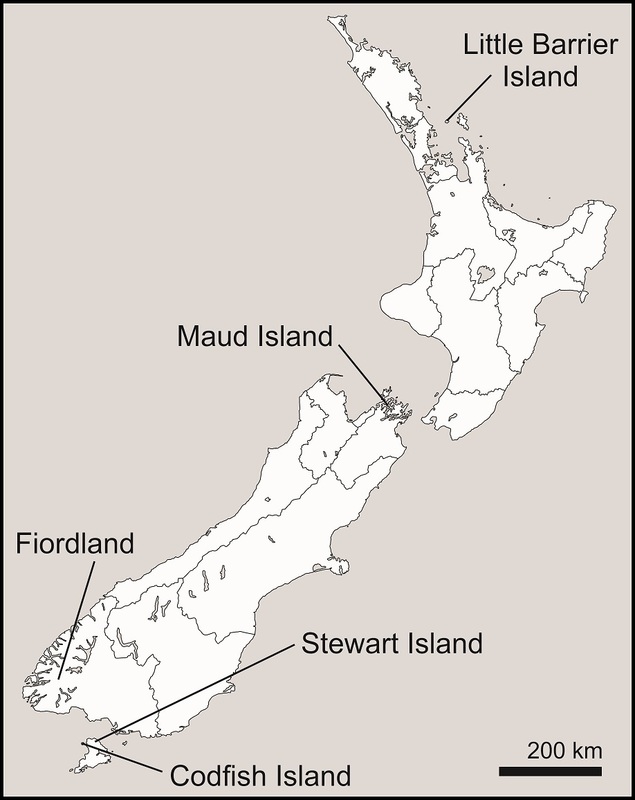 (1977) Evolution of divaricating plants in New Zealand in relation to moa browsing. 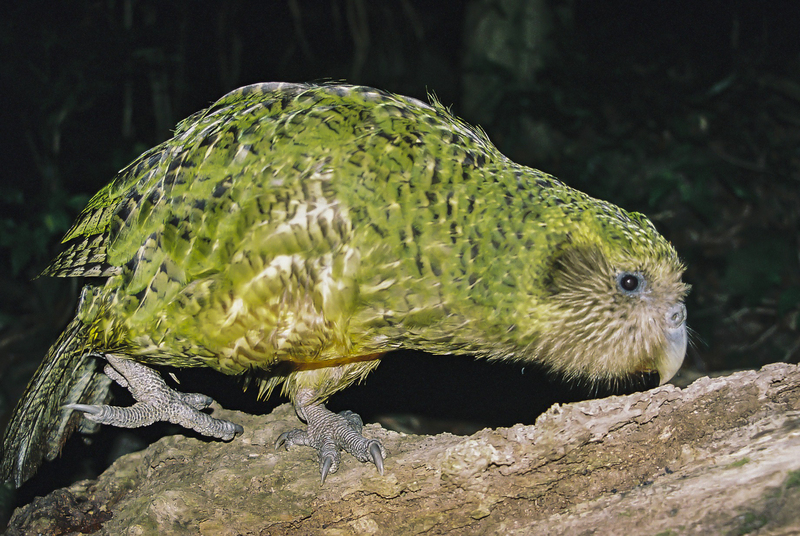 Proceedings of the New Zealand Ecological Society 24: 21–33. Holdaway, R.N. & Jacomb, C. (2000) Rapid extinction of the moas (Aves: Dinornithiformis): model, test, and implications. Science 287: 2250–2254. Perry, G.L.W. ; Wheeler, A.B. ; Wood, J.R.; Wilmshurst, J.M. (2014) A high-precision chronology for the rapid extinction of New Zealand moa (Aves, Dinornithiformes). Quaternary Science Reviews 105: 126–135. Tennyson, A. 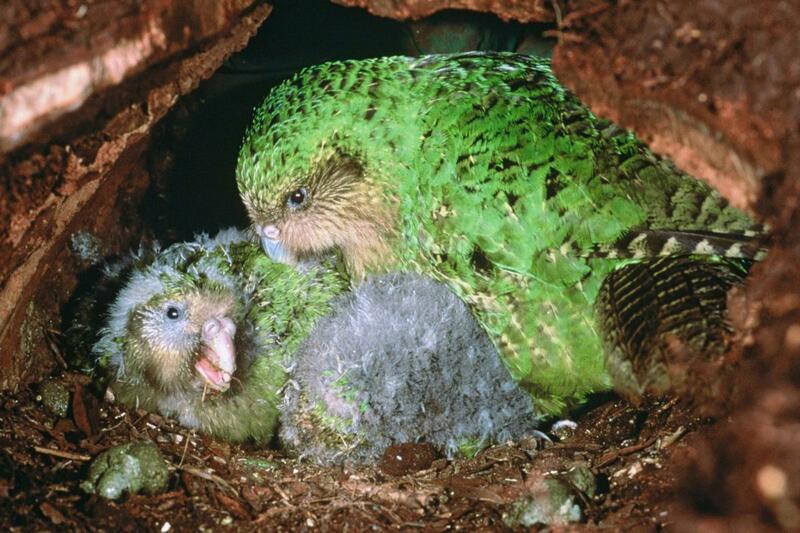 & Martinson, P. (2007) Extinct Birds of New Zealand. Te Papa Press, Wellington. Worthy, T.H. & Holdaway, R.N. (2002) The Lost World of the Moa: Prehistoric Life of New Zealand. Canterbury University, Christchurch. Wood, J.R.; Rawlence, N.J.; Rogers, G.M. ; Austin, J.J.; Worthy, T.H. ; Cooper, A. (2008) Coprolite deposits reveal the diet and ecology of the extinct New Zealand megaherbivore moa (Aves, Dinornithiformes). Quaternary Science Reviews 27: 2593–2602. Yonezawa, T.; Segawa, T.; Mori, H.; Campos, P.F. ; Hongoh, Y.; et al. (2017) Phylogenomics and morphology of extinct paleognaths reveal the origin and evolution of the ratites. Current Biology 27: 68–77. I am very grateful to Dr. Carlos Lehnebach for the help with flower, to Alan Tennyson for helping me to correct some mistakes on moa/eagle biology, and to Museum of New Zealand Te Papa Tongarewa for allowing the usage of the photographs herein. Dr. Rodrigo Salvador is a paleontologist/ zoologist who studies mollusks, but just happens to have a soft spot for giant flightless birds. He is a diehard DC Comics fan, but to be honest, he never really liked Superman. Instead, he prefers to read the stories of the caped crusader and his extensive Gotham “family”. Dinornis means “terrible bird”, just like dinosaur means “terrible lizard”. The largest tibia (a leg bone) ever found belongs to this species, being 1 m long (Tennyson & Martinson, 2007). Tinamous are not typically included in the ratites group, rather being historically considered a separate (basal) lineage and grouped together with ratites in the more inclusive “palaeognaths” group. However, the work of Mitchell and collaborators (2014) have placed the tinamous well inside the ratites. This particular British Secret Service agent is known worldwide through numerous books, comics, videogames and, of course, films. James Bond was created by Ian Fleming and the series now outlives its creator, continuing to grow on a somewhat constant rate. Fleming’s superspy character was based on many people he met during the time he spent serving in the British Naval Intelligence Division during World War II. In his own words, James Bond “was a compound of all the secret agents and commando types I met during the war”. But what few know is where the name comes from. Actually, it was not invented by Fleming for the character; instead, it was borrowed from a real person. So who was the original James Bond and how Fleming came to know him and to borrow his name? James Bond was born in Philadelphia on 4 January 1900. After his mother’s death during his teens, in 1914, he moved with his father to England, going to Cambridge University and receiving his degree in 1922. Back in Philadelphia, after less than three years working for a banking firm, his love of natural history led him to join an expedition of the ANSP (Academy of Natural Sciences of Philadelphia) to the lower Amazon River in Brazil. His father, Francis E. Bond, who led an ANSP expedition (when James was 11) to the Orinoco Delta, perhaps influenced James’ decision, as well as his interest in the natural sciences. 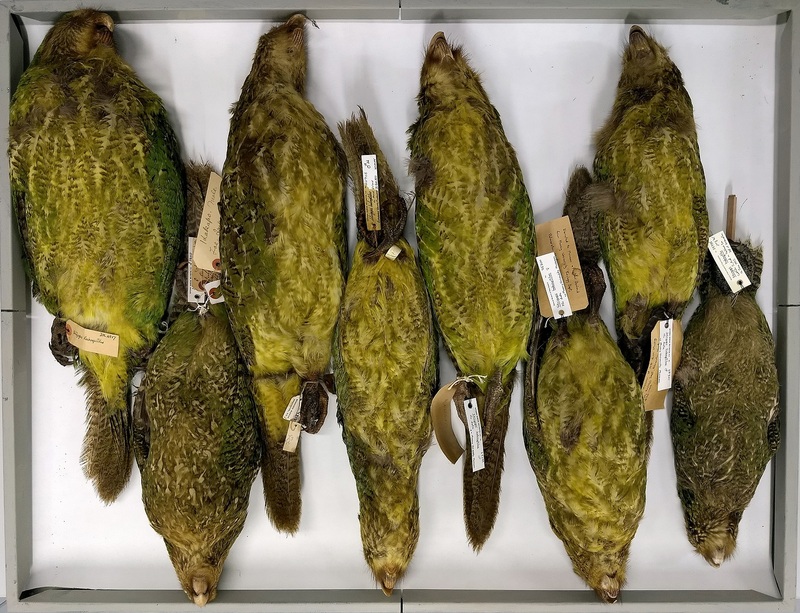 After the expedition to the Amazon, James Bond became a true ornithologist (see Box 1 for a glossary) and curator of the ANSP and started to publish many scientific papers on the South American birds. Nevertheless, he soon decided that the focus of his studies would be the Caribbean birds and this became his life’s work. He spent the next decades travelling through the Caribbean islands and studying their avifauna. The main result of his work in the region was the book “Birds of the West Indies” (1936), containing a scientific account (with descriptions, habits, geographic distribution etc.) of all the known species from the islands. 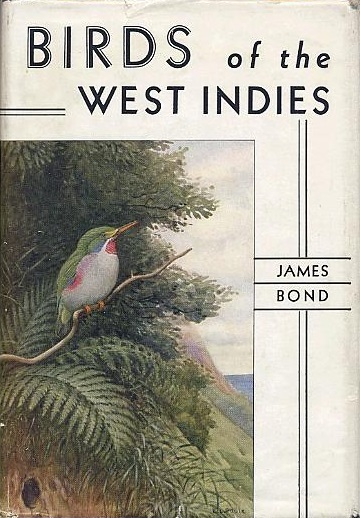 The book was renamed “Field Guide of Birds of the West Indies” on its second edition (1947), but reverted to the original name on the third edition (1961). Also, from the third edition onwards, the book featured color plates of the birds (by Don R. Eckelberry) and more simplified descriptions. This made the book more similar to modern field guides, making it a must for scientists and birdwatchers alike. After the final edition (1985), Bond kept the book updated via a series of 27 supplements. He finished revising a sixth edition shortly before his death (on 14 February 1989, after a years-long fight with cancer). Cover of the first edition of “Birds of the West Indies”, featuring the Jamaican tody (Todus todus). From all the islands that James Bond visited, perhaps the one that most fascinated him was Jamaica, where he realized that the native avifauna was derived from North America, and not from South America as was previously supposed. 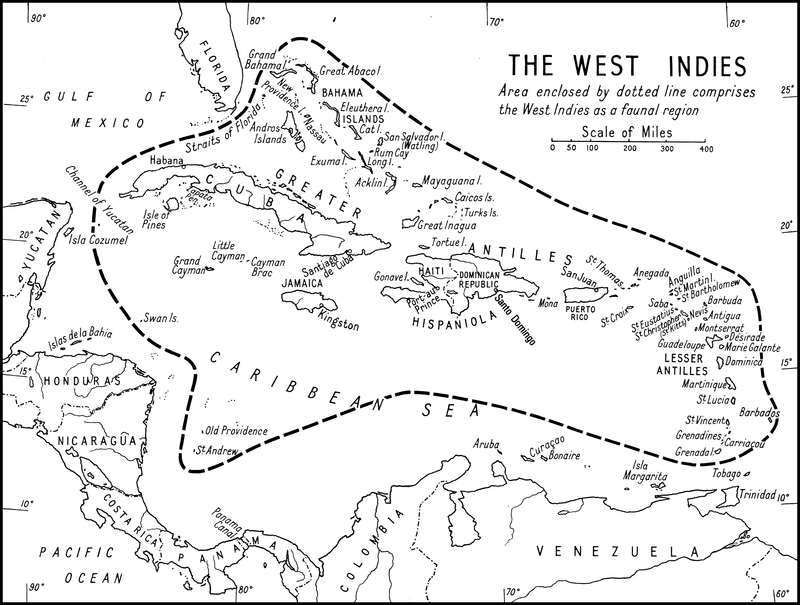 This kind of study is part of the discipline known as Biogeography and led Bond, in 1971, to establish a biogeographic boundary between the Lesser Antilles and Tobago. This line separates two zones, the West Indies and South America, each with its own type of avifauna. This later led David Lack to propose, in 1973, the name “Bond’s Line” for this boundary. 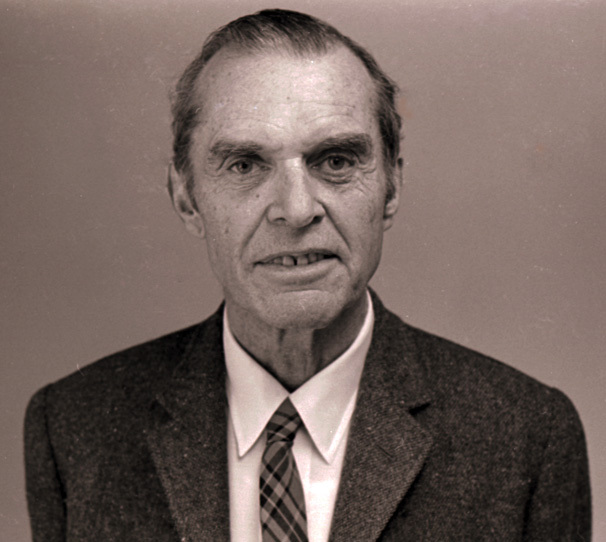 Besides the books, Bond published more than 100 scientific papers and was awarded many medals and honors throughout his career. He is known today as the father or Caribbean ornithology. What he did not expected though, was the other Bond, which appeared in Jamaica of all places, and caused him a certain deal of consternation. On that letter to Mary, Fleming added that in return for using the name he could offer “your James Bond unlimited use of the name Ian Fleming for any purpose he may think fit. Perhaps one day he will discover some particularly horrible species of bird which he would like to christen in an insulting fashion.” This never happened though. Finally, Fleming also invited the Bonds to visit him in Jamaica. This happened in 1964, when the Bonds were there researching and paid a surprise visit to Fleming. This was shortly before the novelist’s death six months later, and luckily, this one-time meeting was captured in video for a future documentary. At first, Fleming was suspicious of Bond’s identity and asked him to identify some birds. Bond, of course, passed the test with flying colors and Fleming had the happiest day of the rest of his life. Jamaica, despite being a rather small country, has a very diverse avifauna. There are circa 320 bird species living in Jamaica, including migrants. From these, 28 are endemic species, 12 are endangered and 14 are introduced. Some of these species have fascinated James Bond, Ian Fleming and countless other tourists and birdwatchers. 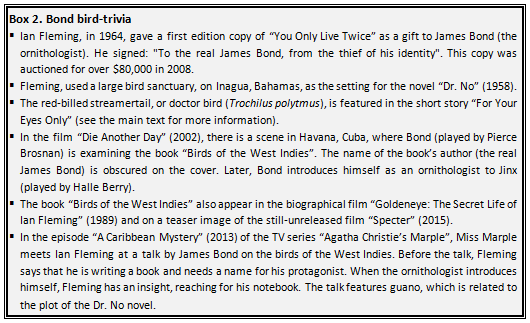 Moreover, since Ian Fleming was such a keen birdwatcher, birds sometimes featured in his stories (and later in the films), and a collection of bird trivia can be found in Box 2 further below. We will now briefly introduce some of the more interesting Jamaican birds and explore a little bit of their natural history and even folklore. The red-billed streamertail, also known as doctor bird or scissortail hummingbird, appears in Fleming’s short story “For Your Eyes Only” (1960). 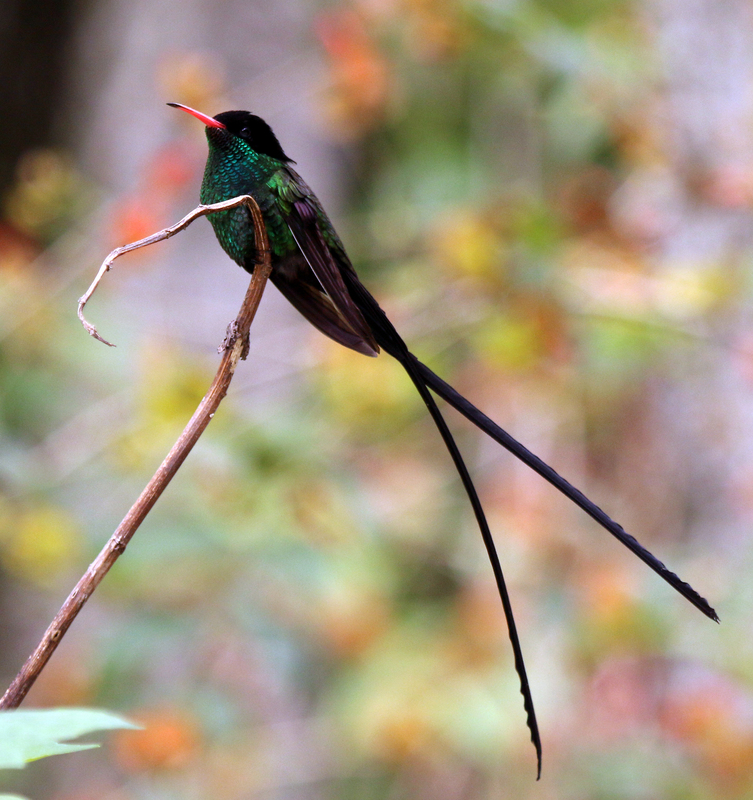 The first lines of the story are: “The most beautiful bird in Jamaica, and some say the most beautiful bird in the world, is the streamer-tail or doctor humming-bird.” It is very hard to crown a “most beautiful” bird, but the red-billed streamertail is indeed remarkable. The feathers on the male’s tail (the “streamers”) are longer than their actual body and make a humming sound during flight. 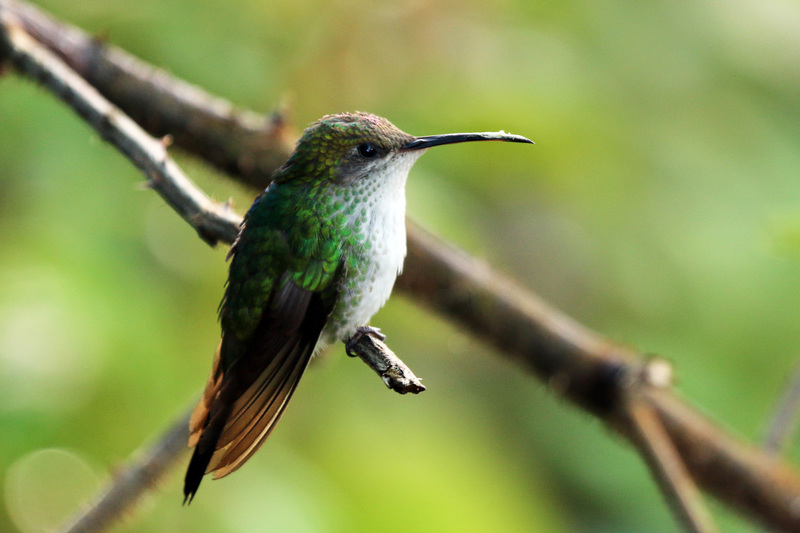 James Bond (the ornithologist) seems to agree; well, partially, at least: his book says that the “adult male is the most spectacular West Indian hummingbird”. 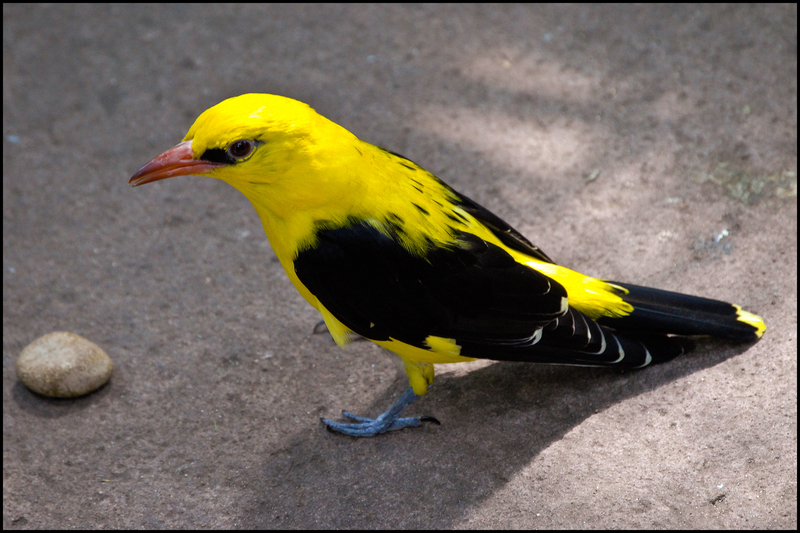 This species is the most abundant and widespread bird in Jamaica and was actually selected as the country’s national bird. Frederic G. Cassidy (1962–2000), who studied the evolution of the English language in Jamaica, says that the name doctor bird comes from the way the animals spear the flowers with their beaks to feed. Still, the term “doctor” also carries a superstitious overtone (as in “witch-doctor”) and Cassidy notes that natives referred to these hummingbirds as “god birds”. The todies belong to the order Coraciiformes, a group that also includes kingfishers, rollers and bee-eaters. 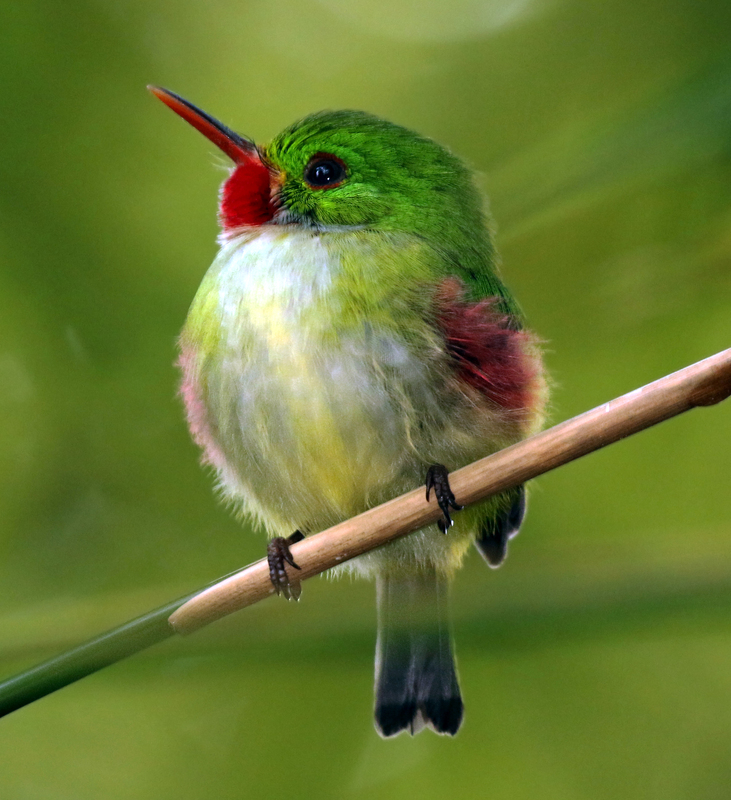 The Jamaican tody was at first believed to be a species of hummingbird. Later, it received the name of robin, due to its small size and round appearance. 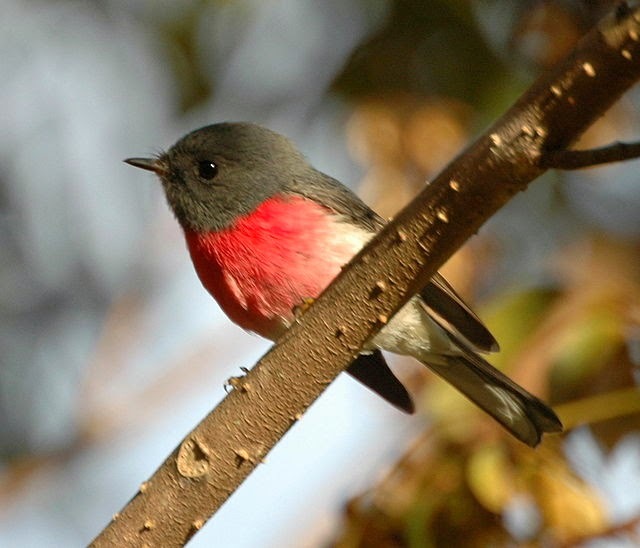 This early folk name still survives in Jamaica as robin red-breas’, an allusion to the bird’s red colored patch below the beak and a copy of the English name of another bird. 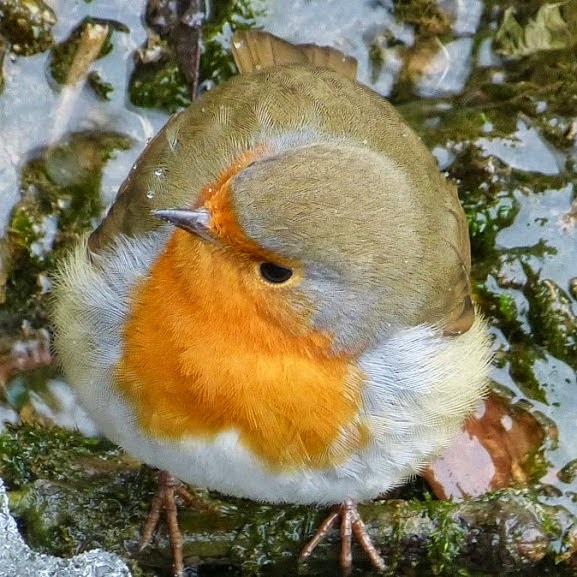 Robin redbreast is the old name of the European robin (Erithacus rubecula), a totally unrelated species. The Jamaican tody is a tiny bird that feeds on insects and fruits, nesting in excavated burrows. James Bond was especially interested in the nesting behavior of birds and studied this topic at length. He chose the Jamaican tody as the cover of the first edition of “Birds of the West Indies” (1936). It has a very small geographic distribution and its population seems to be steadily decreasing in the last decade. Also known as Jamaican pauraque, this nocturnal bird is a species of nightjar, of the family Caprimulgidae. The family name comes from the Latin caprimulgus (goatsucker) and reflects the absurd folk “lore” that these birds sucked milk from goats. 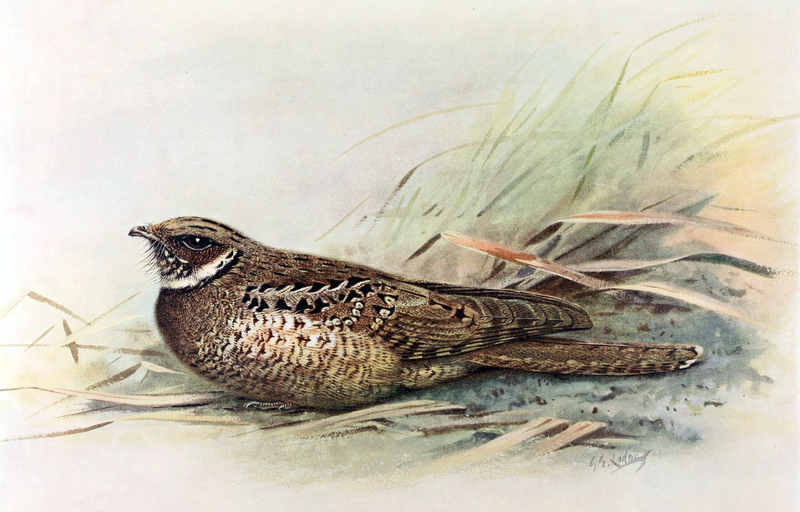 Very little is known about the Jamaican poorwill – it had been extinct long before Bond’s studies, since 1859. It was driven to extinction by introduced rats and mongooses, alongside the usual human-caused habitat destruction. Since the birds nest on the ground, their eggs are easy prey for these introduced mammals. Nevertheless, there are some recent (1998) records of caprimulgids from the regions of the Milk River and the Hellshire Hills in the country, but they remain unconfirmed. Thus, a very small population of poorwills might still exist in these remote regions. Curiously, Bond had also previously alluded to the possibility of a surviving population of these birds on the semi-arid Hellshire Hills. The Jamaican blackbird (family Icteridae) is the only species in its genus and all of its names are rather misleading. Firstly, it is not an actual blackbird (Turdus merula, family Turdidae), which is a species of thrush. Nevertheless, the family Icteridae is popularly known as “New World blackbirds”, so we can let this one slip. As for the scientific name, the genus name comes from the Greek neso (island) and psar (starling) and, as one might guess, this bird is completely unrelated to true starlings (family Sturnidae). Finally, the specific epithet (see Salvador, 2014, for a crash course in species’ scientific names) means simply “very black”, which might not be so descriptive of a “blackbird” after all. Nevertheless, a local Jamaican popular name for this bird is “wild-pine sergeant” and is more accurate than the other names. These birds feed on insects they find in tree bark or bromeliads (locally known as “wild-pines”) and are adapted to climbing trees, similar to woodpeckers. They inhabit the montane forests of Jamaica and are arranged in pairs of birds, each pair occupying a vast territory. The severe deforestation caused by mining, forestry, charcoal production and agriculture has led to an extreme habitat loss incompatible with the blackbirds’ large territories. The species is thus considered endangered, but only some very shy efforts have been made towards its preservation. 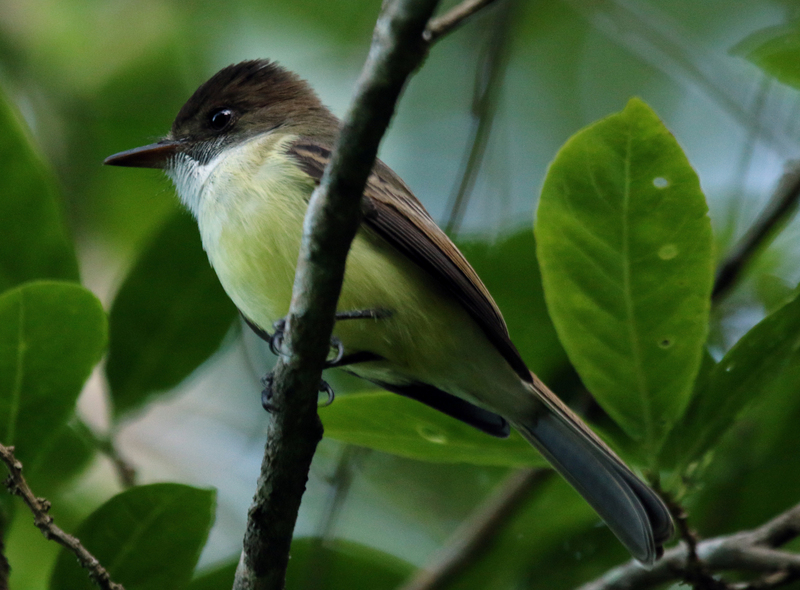 The sad flycatcher (together with the lesser Antillean pewee, Contopus latirostris) is commonly called little Tom-fool by the Jamaican people, for its habit of refusing to fly away when threatened. This flycatcher species inhabits the forests of Jamaica and, as their name imply, feed on insects. In fact, the genus name comes from the Greek muia (fly) and archos (ruler), while the specific epithet refers to the presence of rictal bristles. These bristles are modified feathers (that look like mammals’ whiskers) projecting from the beak; they not only provide tactile feedback (as whiskers do), but also supposedly protect the birds’ eyes as they consumes their wriggly insect prey. To avoid confusion, we must note here that the sad flycatcher is part of the group known as “New World flycatchers” or “tyrant flycatchers” (the family Tyrannidae). 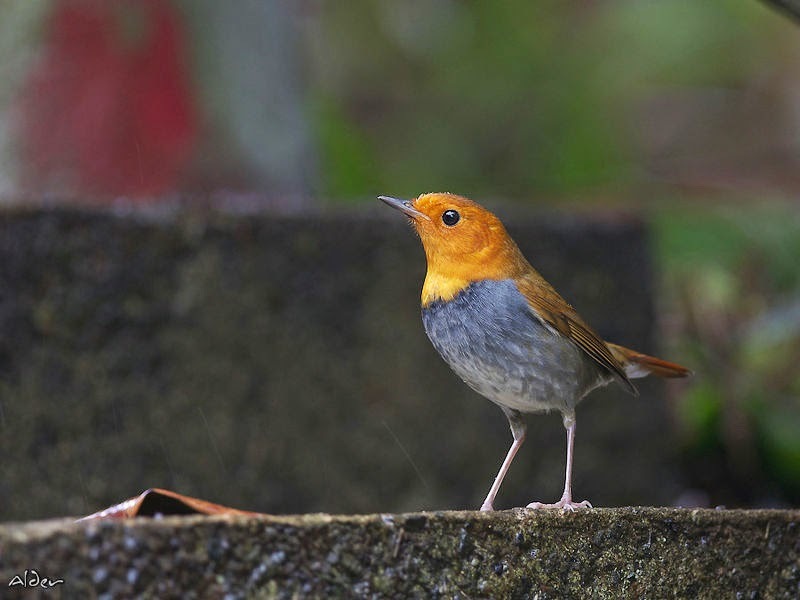 The “Old World flycatchers” belong to another family, Muscicapidae, which is only distantly related to the Tyrannidae. This bird is locally known as “jabbering crow” of “gabbling crow”, for it can produce a variety of jabbering sounds (besides the common “caw” of crows). Their incessant jabbering may also sound like indistinct human languages and, to the British, rather like Welsh people, which led to the birds being nicknamed “Welshmen” in a typical bout of Brit humor. 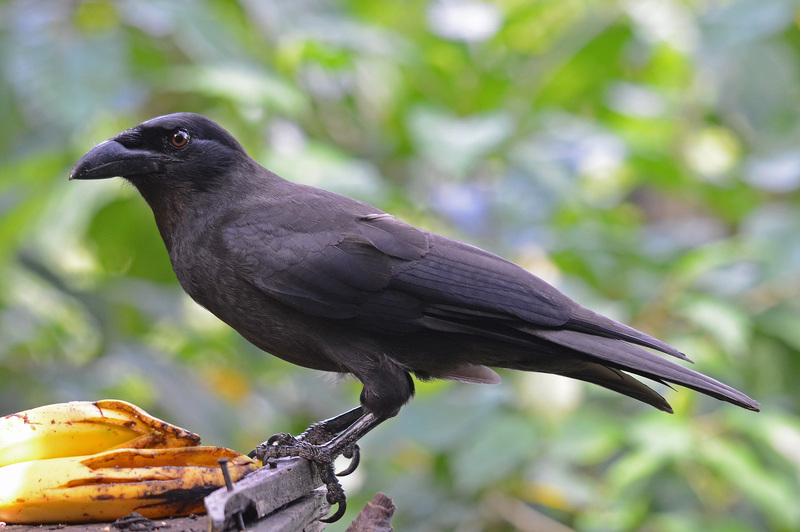 The Jamaican crows live mainly in the country’s uplands, but may come down to the lowlands during the dry season. They feed mainly on fruit and invertebrates, but may occasionally eat other birds’ eggs and nestlings. Avibase. (2015) Bird Checklists of the World. Jamaica. Available from: http://avibase.bsc-eoc.org/checklist.jsp?region=jm&list=clements (Date of access: 02/Apr/2015). Bond, J. (1993) A Field Guide to the Birds of the West Indies. Fifth edition (Peterson Field Guides). Houghton Mifflin Harcourt, Boston. Bond, M.F.W.P. (1966) How 007 Got His Name. Collins, London. Cassidy, F.G. (2006) Jamaica Talk: Three Hundred Years of the English Language in Jamaica. University of the West Indies Press, Kingston. Clements, J.F. ; Schulenberg, T.S. ; Iliff, M.J.; Roberson, D.; Fredericks, T.A. ; Sullivan, B.L. ; Wood, C.L. (2014) The eBird/Clements checklist of birds of the world. Version 6.9. Available from: http://www.birds.cornell.edu/clementschecklist/download/ (Date of access: 02/Apr/2015). Chancellor, H. (2005) James Bond: The Man and His World. John Murray, London. Cruz, A. 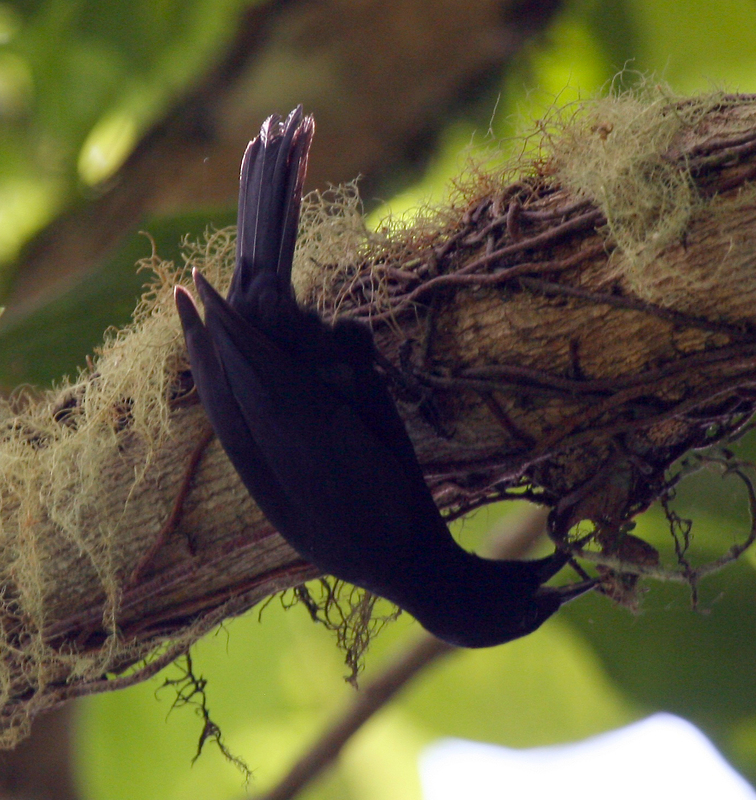 (1978) Adaptive evolution in the Jamaican Blackbird Nesopsar nigerrimus. Ornis Scandinavia 9(2): 130–137. IUCN (International Union for Conservation of Nature). (2014) The IUCN Red List of Threatened Species. International Union for Conservation of Nature and Natural Resources. Available from: http://www.iucnredlist.org/ (Date of access: 03/Apr/2015). Lederer, R. & Burr, C. (2014) Latin for Bird Lovers. Timber Press, New York. MI6-HQ. (2015) MI6 – The Home of James Bond 007. Available from: http://www.mi6-hq.com/ (Date of access: 02/Apr/2015). Parker, M. (2015) Goldeneye. 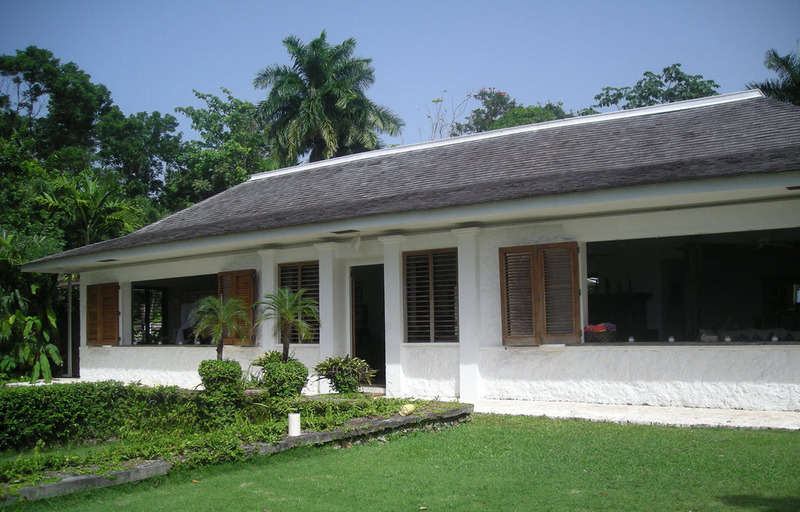 Where Bond Was Born: Ian Fleming’s Jamaica. Pegasus Publications, Winnipeg. Parkes, K. (1989) In Memoriam: James Bond. The Auk 106(4): 718–720. Rothschild, W. (1907) Extinct Birds. An attempt to unite in one volume a short account of those birds which have become extinct in historical times – that is, within the last six or seven hundred years. To which are added a few which still exist, but are on the verge of extinction. Hutchinson & Co., London. Skutch, A.F. (1977) A Bird Watcher’s Adventures in Tropical America. University of Texas Press, Austin. Netherlands Institute of Ecology; Wageningen, The Netherlands. Rijksuniversiteit Groningen; Groningen, The Netherlands. Since Pokémon is a recurrent topic on this journal, I would like to call your attention to this little fellow: the fletchling. Fletchling (yayakoma, in Japanese), as it appears in official Pokémon artwork. 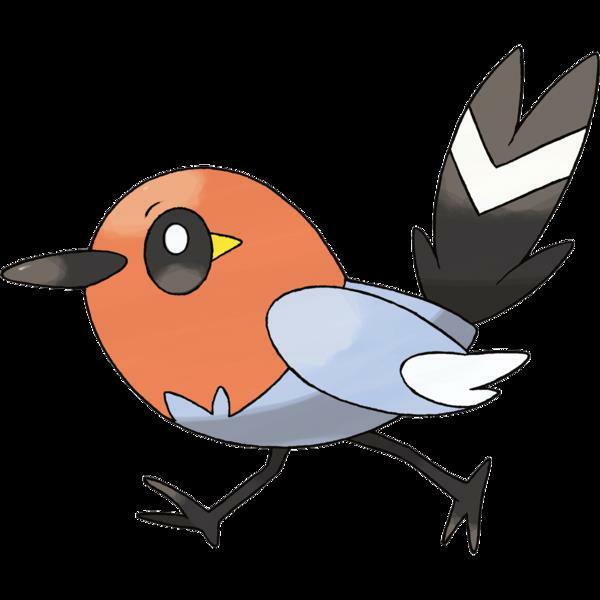 Fletchling is a tiny normal/flying-type robin pokémon with an orange head and grey body. Both Pokédex and Bulbapedia tell us that they sing beautifully, send signs using chirps and tail movements and are also merciless to intruders in their territory. It evolves to a fire/flying peregrine falcon (how a robin becomes a falcon is a topic for further discussion) that is a very common sight in competitions. Back to fletchling. Even though I like all sorts of birds (I am an ornithologist after all), we always have our favorites; mine is the robin. And so, the tiny robin fletchling became my all-time-favorite pokémon. Now let us take a look at the robin I find in my garden. European robin (Erithacus rubecula). Could you really be a fletchling? Well, they look somewhat similar, but the color differs. Could my garden robin and fletchling be the same thing then? 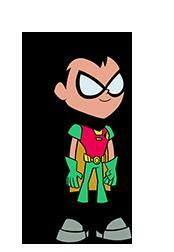 Are there any other robins outta there? No no, I meant bird robins. American Robin (Turdus migratorius). Image taken from: Wikimedia Commons. Japanese robin (Erithacus akahige). Image taken from: Wikimedia Commons. So it is finally clear that fletchling was based on the Japanese robin and not on the European one from my garden (even though the entire Pokémon XY games supposedly been based on France – good job, Game Freak Inc.). 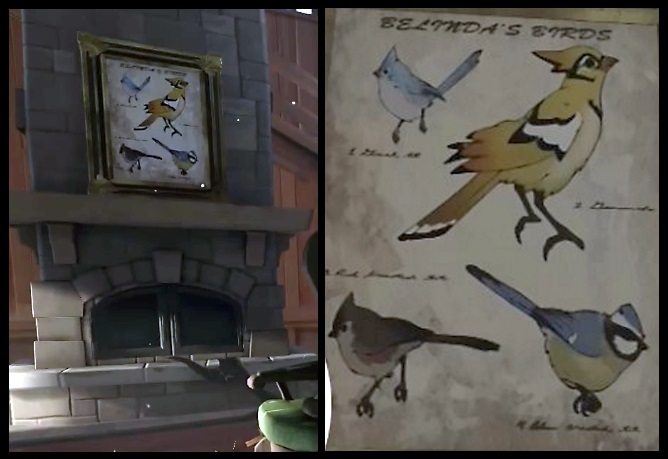 Now let us take a closer look at the bird robins (please refer to the figures above). 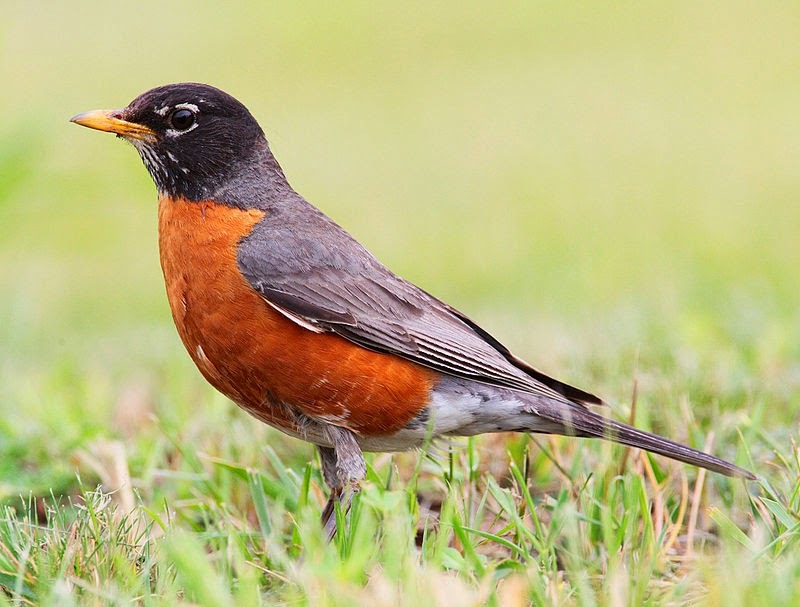 We can see that the Japanese and European robins are very similar between themselves, especially when you compare them to the American and Australian robins (see figure below). This is expected, since the former share the same genus (Erithacus), meaning that they are more closely related. That is why they are so similar in appearance despite the difference in color. There is yet another Erithacus robin in Japan which has even more distinct plumage color (the Ryukyu robin, see figure below), but that is still very similar in shape to the European and Japanese robins. Ryukyu robin (Erithacus komadori). Image taken from: Wikimedia Commons. American robins, on the other hand, are much more different. They belong to another genus (Turdus), which also includes blackbirds, song thrushes and fieldfares. As such, they are only distantly related to the species belonging to Erithacus. Actually, Turdus might even belong to a completely different family – this is a hotly debated topic in ornithological circles, but I will not dwell on it. Australian robins (Petroica rosea) are part yet another very distinct group. Image taken from: Wikimedia Commons. So why we call all these different birds “robins”? Robin is a popular English name to refer to passerines with red breast. The first one to be named as such was the European robin and the name was later on “exported” by colonizers and travelers for the birds in other continents. In other languages, the red breast feature of the European robin is always the focus: “Rotkehlchen” (German), “pisco-de-peito-ruivo” (Portuguese), “rouge-gorge familier” (French), “petirrojo” (Spanish), “pettirosso” (Italian) etc. Folklore says the red breast was earned by the brave small European robin as a token for its heroic acts (Greenoak, 1997). European/Japanese and American/ Australian robins all share the red breast feature, being, thus, all called “robins”. However, as we saw, one pair is not closely related to the other – they do not share the same genus. This is because their popular name is not based on any evidence of how closely related they are. Popular names are just useful tools for people’s everyday life. Scientific names, however, are more than that. 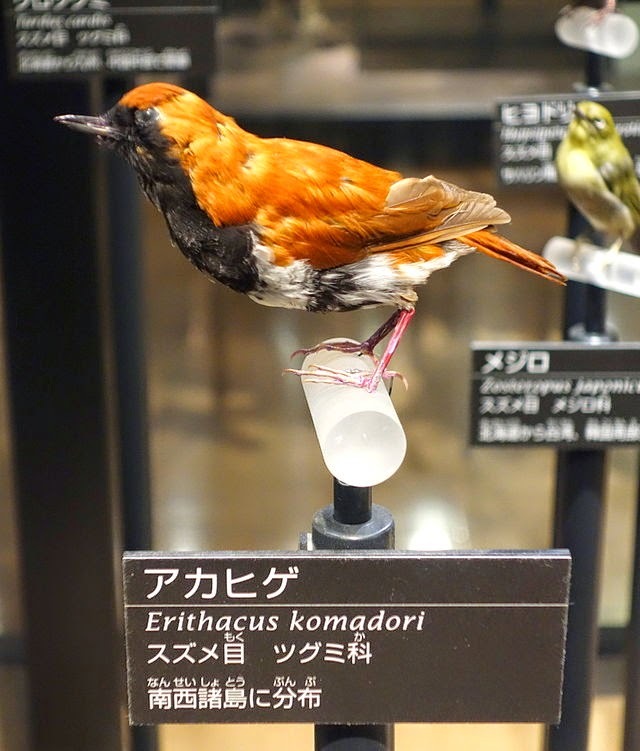 As we saw, color is not the only characteristic that make a bird a Turdus or an Erithacus – The other Japanese robin (the Ryukyu robin) does not even have an orange breast; what makes it an Erithacus is its body shape, skeleton, anatomy etc. Giving a name is not an easy matter in science (this branch of Biology is called Taxonomy, by the way). The act of classifying and naming a species is based on studies that analyze the morphology and even the DNA of living beings to decide who is more related to whom (and therefore belong to the same genus or family). Therefore, scientific names also contains information on the relationship between species and will never confuse someone as popular names like “robin” do. Bulbapedia. Fletchling (Pokémon). Available from:http://bulbapedia.bulbagarden.net/wiki/Fletchling_%28Pok%C3%A9mon%29 (Date of access: 27/aug/2014). Greenoak, F. (1997) British Birds: their Folklore, Names and Literature. Christopher Helm, London.